One fateful day in 1993 a chance push of a button on my car radio introduced me to Clora Bryant. The program, All-Women Bands of the ‘20s, 30s, and 40s, was an eye (and ear) opener for me. Although I had played trumpet professionally for 30-plus years, I had never heard of Clora or any of the other women on the program. Since I was then teaching at Berklee College of Music, the largest contemporary music school in the world, I found this unbelievable. Determined to know more about Clora, I did some research and learned that her mother died when Clora was three. Clora and her two brothers were raised by her father, Charles Bryant, whom she credits for her success. She took up the trumpet at 15 in Denison, Texas, and in 1944 she won a scholarship to Prairie View A&M University, a historically black college near Houston. She played in the Prairie View Co-Eds, an all-girl swing band that toured the South and Northeast. The next year she moved to California and continued her musical education by listening to recordings and sitting in at jazz clubs. In 1956 her friend, trombonist Melba Liston, was playing in Dizzy Gillespie’s band. After telling Dizzy about Clora, Melba introduced them, and they became lifelong friends. In 1957 she cut her only record: Clora Bryant … Gal with a Horn. A hard-driving bebop trumpeter with a powerful tone, Clora played in big bands and led her own groups in California and on tour for several decades. From the 1950s to the 1980s, Clora played with many jazz luminaries. When Louis Armstrong heard her at a club, he brought his band onstage to play with hers and began telling people how much he admired her. Two years before I heard that fateful NPR program a well-publicized uproar ensued when Boston University trumpet teacher Rolf Smedvig critiqued a female brass group and said he had “a problem with female brass players.” This provoked women brass players (and many male brass players) around the world and led to the first International Women’s Brass Conference in May 1993, an event I looked forward to with great anticipation since I knew Clora would be there. The first night of the conference I couldn’t wait to meet Clora. When I introduced myself, we bonded immediately. Despite her distinguished career, Clora was down to earth, friendly, and generous with her time. She taught a class on improvisation, encouraging those who didn’t improvise to “get in the groove.” In the cafeteria, she bounced from table to table with boundless energy, offering encouragement and advice to younger brass players. During the conference she celebrated her 66th birthday and invited me to share a piece of her birthday cake! Although Clora stopped performing in the 1990s, her enthusiasm for music and musicians continued. In 1991 she helped get her friend Dizzy Gillespie a star in Hollywood’s Walk of Fame. Her crowning achievement came on May 6, 2002 at the Kennedy Center in Washington, D.C. To honor her lifetime contributions to jazz, Dr. Billy Taylor presented Clora with the prestigious Mary Lou Williams Women in Jazz Award. Because of that 1993 NPR program, I created and taught a course at Berklee College of Music about 20th Century jazz and classical women performers. I wanted aspiring young musicians to know about these fabulous women. One of my featured performers was Clora Bryant, who remains an inspiration to me and serves as a role model for countless women brass players. An extensive interview with Clora is featured in Jazzwomen: Conversations with Twenty-one Musicians, Wayne Enstice and Janis Stockhouse, Indiana University Press (2004). 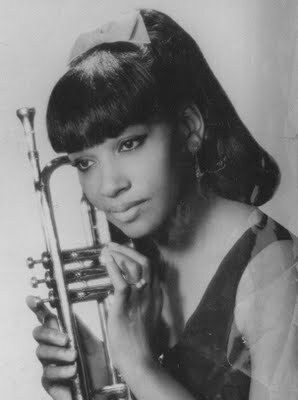 Her recording, Clora Bryant … Gal with the Horn, has been reissued on CD and is also available as an MP3 download on Amazon.com. The Rolf Smedvig quote is from the Boston Globe, April 1, 1991. Trumpeter, novelist and music historian Susan Fleet spotlights outstanding women musicians on her website, www.susanfleet.com.